This is an XL hand dyed Gildan shirt that has been washed once after dying and once after screening so it should be safe from any dye coming out. 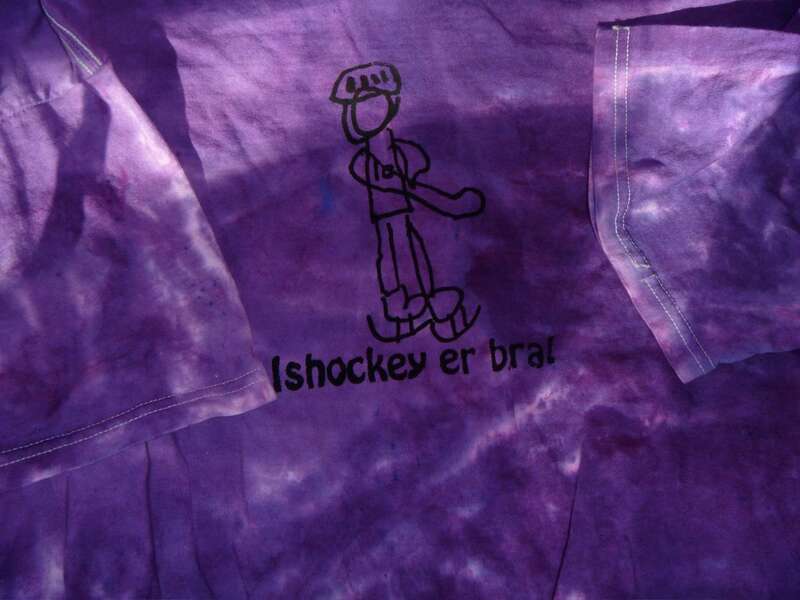 It says "ishockey er bra!" with an ice hockey player drawn by Vera above it. Hockey season will be here shortly!